London Fashion Week AW 2010 so far....so good. 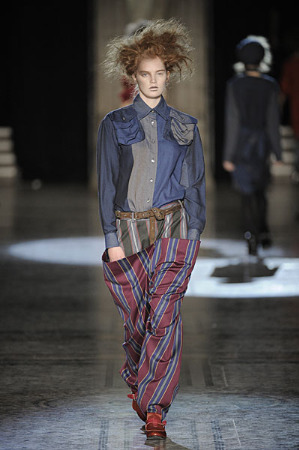 Its been 5 days now at London Fashion Week. And to say that the fashion here is outgoing or innovative is an understatement. The fashion here is just advanced by North American standards. At some point the key trends and pieces will eventually trickle down to other parts of the world. But if you’re one of those people who want to be different, unique, stand out than the rest of the crowd, London is your town. 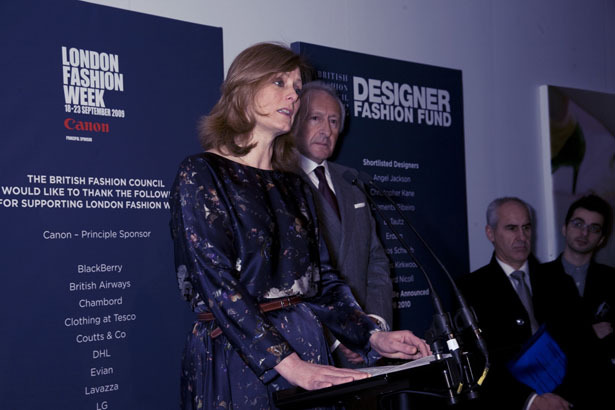 LFW opened last Friday with Sarah Brown and Harold Tillman, chairman of the British Fashion Council (BFC) doing the honors. One of the unique things about London Fashion Week is the presence of an exhibition which houses local and establish designers and their wares. This gives attendees from around the globe a chance to purchase either individual pieces or place orders for their stores. Esthetica, the BFC’s fashion initiative was also launched that day. This program is London’s epicentre for ethical fashion and practices. 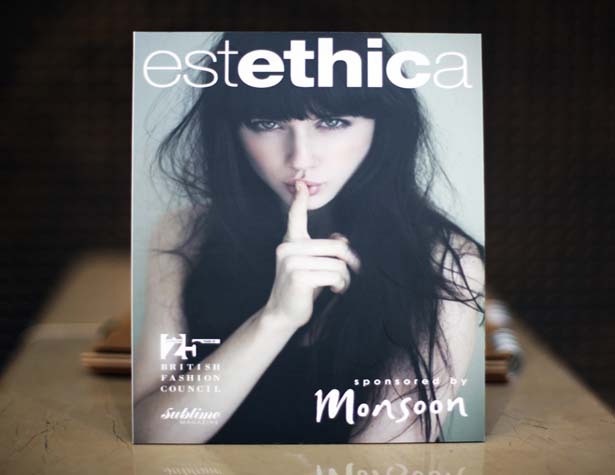 Currently with 28 member designers, Esthetica continues to leads the way and prove its strength in the industry. Now the shows. Menswear doesn’t happen until tomorrow up to Friday. 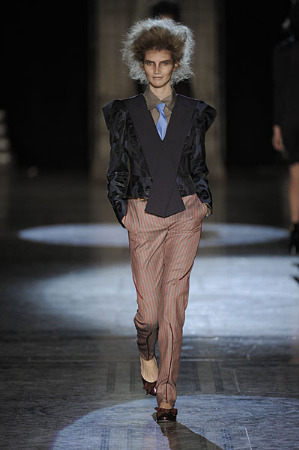 So for now, I’ll talk about some my favorite shows so far and my favorite pieces for AW 2010. I first caught of Sass and Bride on the MTV show “The Hills” when they did a show in Los Angeles with publicist Kelly Cutrone. 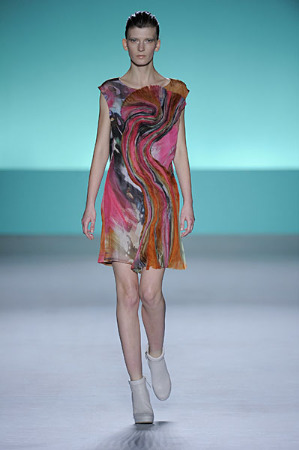 Since then I’ve been hoping to see one of their shows live, and I did here at London Fashion Week. The shot that made front page in all fashion media. That's about it for my catwalk report. More menswear coverage to follow. Things were a bit quieter this season in New York. Same time last year the city and fashion week was buzzing with A-list attendees, sizzling runway and off-runway shows, and a vibrant energy. This year, I felt there were less people at the tents (and around them), but also less of a representation for menswear. Perhaps it was the economy. But also perhaps there are a few more celebrities who were away , attending other festivities such as the Winter Olympics in Vancouver. 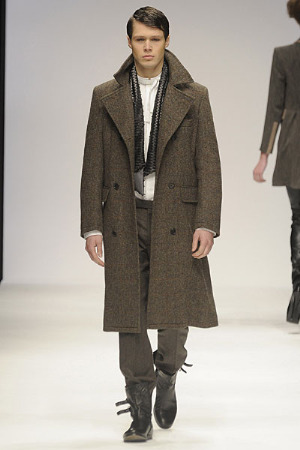 Regardless, there are some very obvious trends that are happening for AW10. Some of them are not so new and are just extensions from last years key pieces. This is new for the season. Very much a European influence, the crop pants and boot combination is something not every guy can pull off. An evolution of the “stuffed jean in your boot” style, this look will go well with the lanky guy who’s looking to stand out, be daring and different. 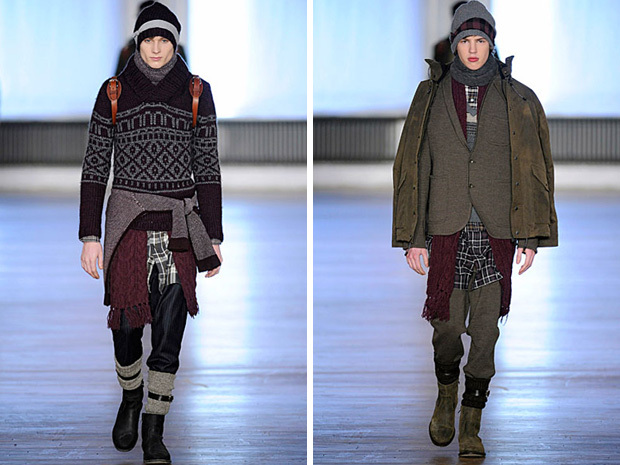 The other key piece that showed up in most of the menswear shows is the boot. Either military, motorcycle, or an oxford boot, having a pair will be necessary to keep on trend. Very Robin Hood. This trend started late last year. 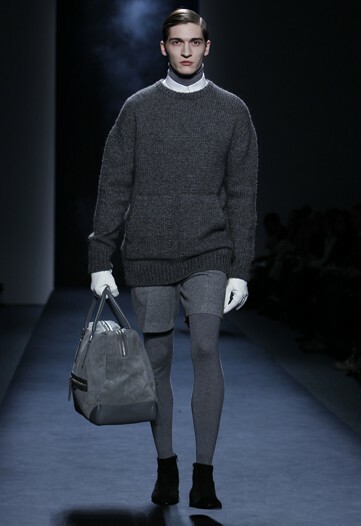 Coming from the whole skinny jean phenomenon, men started to go “skinnier” with their bottoms by shifting to tights. More of a German influence, these tights are built differently compared to the women’s version. They usually feature support panels, sometimes include front openings that resemble flies on jeans, and also have reinforced feet. Again for the uber-metrosexual, this shouldn’t be hard to pull off. Not really new as we saw a bit of it same time last year. There will be more of it this year. The double breast, although tends to make guys look wider and broader, looks amazing in a fitted cut. Almost resembling a peacoat, it projects a very dapper and clean look. You’ll be seeing various versions of this coat starting September 2010. Everything is waxed these days. From denim to full suits, waxed fabrics give clothing a bit of shine but also a layer of protection from the elements. Last year, metallic suits were big. This season it will be a bit toned down. Suits will still be tailored (as they always should be), with a hint of shine as a result of the wax treatment. Multiple Layers, a Leather Back Pack, and Military Boots. It’s not as simple as one may think. “Oh let me just throw on a bunch of stuff, and then I’m done. The trick is to be able to create balance within the chaos of a few, sometime uncoordinated pieces. 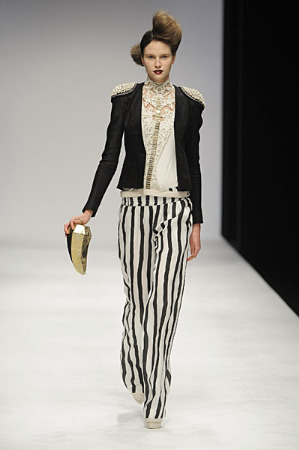 This trend is very street wear inspired from the streets of New York, London and even Berlin. Brands like William Rast and Rag and Bone were one of the first labels that embraced this look and made it commercial. 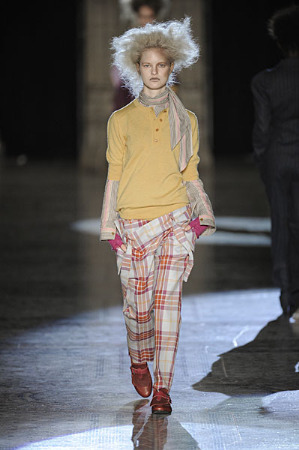 All in all, AW2010 will be a bit of rehash from last year. Same color palettes and same cuts. What will be different I think will be how guys style themselves. I think the basics and classics will still rule the game, but will be accentuated by some of the trends from the runways. As always, take what works and make it your own. Next stop, London Fashion Week.